I would like to present to you another "Cause" inspired nail. During the month of October, I created a nail art to raise Breast Cancer Awareness. This month is all about the gentlemen, their health, and their moustaches. Of course I had to create nail art for Movember! For those who are unfamiliar with Movember, "it is moustache growing event held during November each year that raises funds and awareness for prostate cancer and male mental health initiative". I know that there are some unique twist to this event. A family's optometrist in my hometown is hoping to reach his goal of $1000 (click to donate) and when he does he promises to shave off his moustache that he's been sporting since the early 70's! My friend who is a self-proclaimed introvert and fellow nail art lover promises to do a public Gangnam Style dance and upload it to youtube when she reaches her goal of $500 (click to donate). For myself, my friends and I are hosting a small beer pong tournament and putting the entry fees toward this cause. What are you doing for Movember? I loved what I did for my second rendition of the Breast Cancer Nail art, so I did this moustache Movember nail in a similar fashion! Want to see what they look like when put together, check it out after the jump! This idea actually came up during a conversation I had with my best friend in October when we were talking about cause/charity related nail art. That conversation inspired the changing torso Breast Cancer nail art, as well as this one! I used the image above as a source of reference of what type of different moustache I wanted on my nail. There are so many different kind of moustaches! I think it came out pretty cute! I did a bushy short moustache on my pinky, a curly moustache with a goatee on my ring finger, and two variations of handle bar moustache on my middle and index finger. 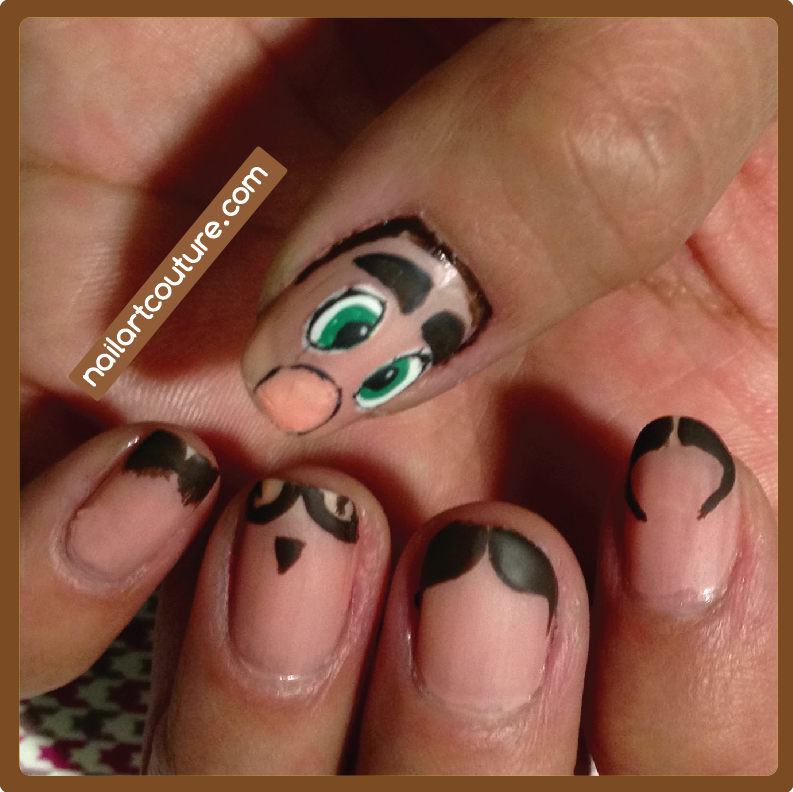 Did you do any movember nail art this month? It's the green eyes and the big nose eh?? I did take Mario as my inspiration. Thank you ladies! I'm glad you like them!! 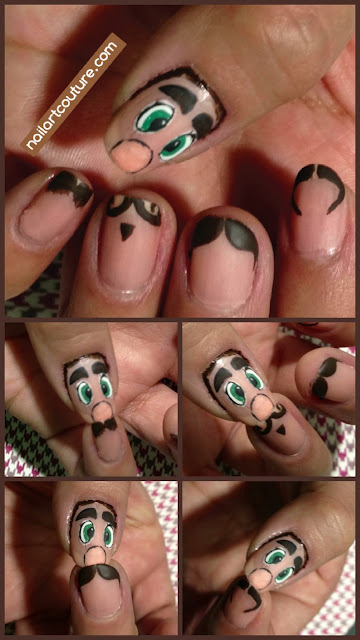 Hahah, this is by far the best movember nail art manicure i've seen! Very creative. I love this idea! I love all your nails where you can put your thumb with another finger and it makes a whole new design!! They're super fun to do!